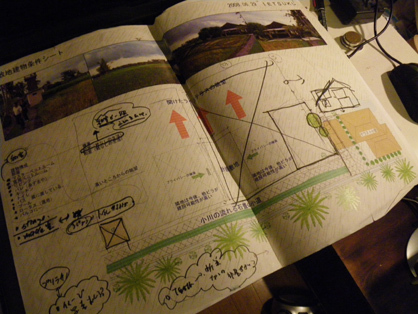 Following the previous meeting, we brought 2 plans to clarify the image that we are thinking about. Our plan was a work in progress. 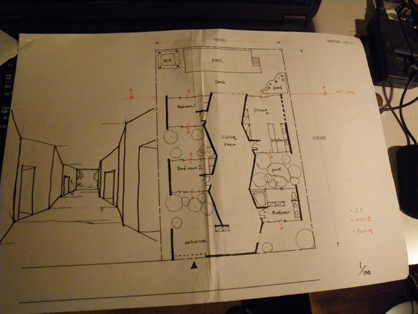 Also, we asked them to get an estimate from their property agency using our drawings when they go to Bali. Because, we think that the price has risen by 30% in Indonesia. We think that it is very important to gather as much information in Bali as possible, because we don’t go there often.